The Al Maktoum family descends from the Al Bu Falasah section of the Bani Yas. a highly respected and authoritative tribal federation that was the dominant power throughout most of what is now the UAE. The Al Maktoum family's reign as rulers of Dubai began in 1833, like most settlements in the region at that time was just a small town, but the arrival of the Al Maktoum family changed that. Dubai is now one of the most vibrant cities in the world, attracting tourists and business executives from many countries. capable leader, who confidently overcame the political and economic challenges he faced whilst establishing the new principality. By the time of his death in 1852, he had become a respected, influential authority on the Trucial Coast. Sheikh Maktoum's brother, Sheikh Saeed bin Buti Al Maktoum, succeeded him. He wanted to follow his brother's example of making Dubai a safe haven for all people. To this end, he took the wise decision to form alliances with the Sheikhs of Abu Dhabi and Umm Al Qaiwain, consolidating his ability to face any future disputes. Upon the death of Sheikh Saeed, in 1859, Sheikh Hasher bin Maktoum Al Maktoum took over the leadership of Dubai. 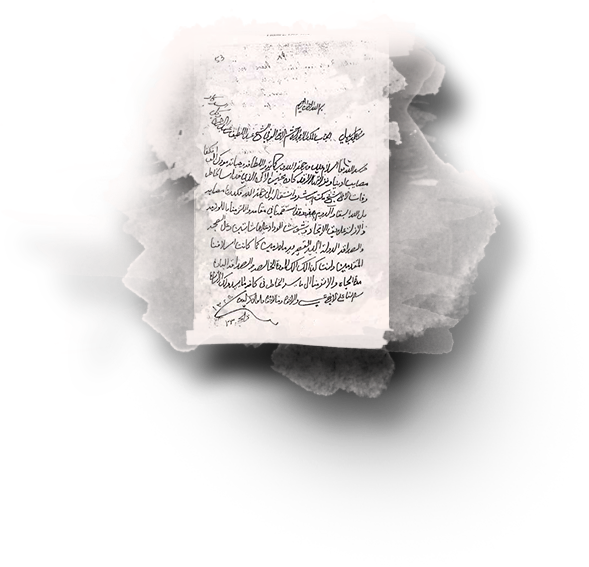 He proved himself to be a brave leader with a strong sense of justice, and was firmly committed to the truces signed by Dubai with the British and the other Trucial Sheikhdoms. 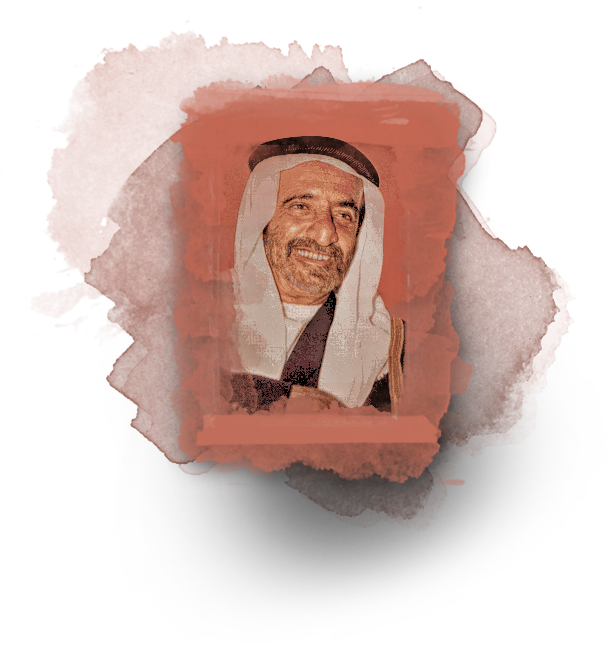 When Sheikh Hasher passed away, the elders of the tribe elected Sheikh Rashid bin Maktoum as their leader. In 1892, he formed an alliance, through marriage, with the Al Bu Shamis tribe, who were based in Buraimi, a strategically important area at that time, as it was one of the few fertile oases in the country. In the same year, however, he fell ill, eventually dying in 1894. When Sheikh Hasher passed away, the elders of the tribe elected Sheikh Rashid bin Maktoum as their leader. In 1892, he formed an alliance, through marriage, with the Al Bu Shamis tribe, who were based in Buraimi, a strategically important area at that time, as it was one of the few fertile oases in the country. In the same year, however, he fell ill, eventually dying in 1894. Sheikh Maktoum bin Hasher then took power. His economic policy is described in British government papers as "liberal and enlightened"1. He abolished commercial taxes and Dubai's port saw a rapid increase in development and business during his reign. Dubai became a regular stopping point for steamers and established itself as the principal commercial port on the coast. Sheikh Maktoum died in 1906. As his sons were too young to take power, he was succeeded by his cousin, Sheikh Buti bin Suhail. 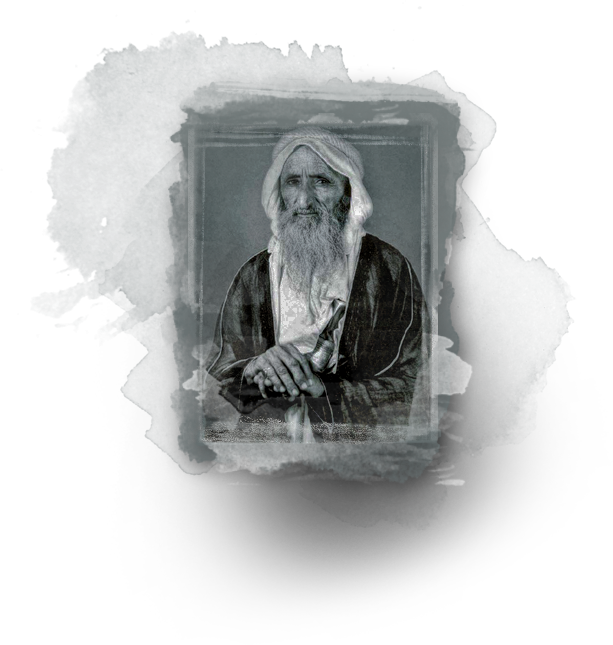 Sheikh Buti was already elderly by the time he became Ruler, and his reign lasted only 6 years until his death in 1912, when he was succeeded by Sheikh Saeed bin Maktoum Al Maktoum. Sheikh Saeed bin Maktoum Al Maktoum was born in 1878. 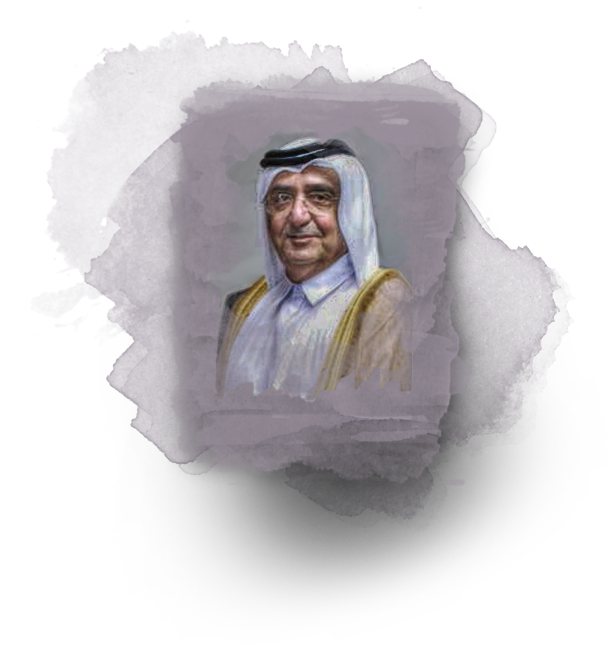 An unimposing man, Sheikh Saeed began his rule in 1912, a time when the pearling industry was thriving and Dubai was establishing itself as the leading port in the Gulf. He would continue to rule for 46 years until his death in 1958. A deeply religious man, Sheikh Saeed based his decisions on the teachings of Islam. "And he practiced what he preached. An occasion is recalled when he rose early one morning, even before the guards of his modest house in Shindagha, and surprised a foreign craftsman attached to the household in the act of stealing an expensive Persian carpet from the Ruler's majlis. 'Put it back,' Saeed advised the thief. 'The guards will certainly catch you.' The man took Sheikh Saeed's advice, and continued his employment for many years as though nothing had happened. "1 Sheikh Saeed was an uncomplicated man who relished the simple pleasures of life. A favorite pastime was the traditional Arab sport, falconry. Sheikh Saeed and his family would retreat from the hustle and bustle of city life to Ras Al Khaimah, a neighboring sheikhdom where the Al Maktoum family owned several date plantations. Free from the pressures of political life, Sheikh Saeed enjoyed the quiet joys of life as a family man. In the 1930's, the pearling industry went into sharp decline. European and American demand for pearls had decreased due to a depressed economy and the creation of cultured pearls in Japan. The world's leading jewelers turned to the Asian market for cultured pearls because they were cheaper than natural pearls and it was possible to mass-produce them. Had it not been for the Ruler's farsightedness in diversifying Dubai's economy and developing the port and the market, Dubai would certainly have suffered greater repercussions. Sheikh Rashid, ruler of Dubai from 1958 to1990, was the eighth ruler from the Al Maktoum family. Well loved and greatly respected by the residents of Dubai, Sheikh Rashid ruled the emirate with compassion and with a clear vision of what was required in order to transform Dubai into a modern city. Driven by this vision, Sheikh Rashid accomplished what many believed to be impossible. As the first-born son of Sheikh Saeed, he involved himself at an early age in the politics of the emirate. He frequently attended his father's Majlis; ever curious, he would listen intently to each man's dilemma or opinion. Eager to comprehend the minutiae of governing a state, he would spend long hours questioning his parents about the events of the day. As a child he received the finest education available in the region. Attending the Al Ahmadiya School, Sheikh Rashid's studies included Islamic studies, Arabic, and arithmetic. Although he was a good student, the true focus of his enthusiasm was reserved for falconry and hunting. "From an early age, he was an excellent shot with the rifle and, while his mother took a leading role in his upbringing, falconry was a passion which brought together Sheikh Saeed and Sheikh Rashid, father and son, throughout their lives. These hunting expeditions, which were taken twice a year, led the Ruler and his hunting entourage to Iran and later, on occasion, to Pakistan. Providing Sheikh Rashid with a brief, welcome respite from the responsibilities of his position, he was free to be just a normal man. Houbara, gazelle, rabbit, and grouse were the game of choice. Sheikh Rashid's hands-on approach called for a disciplined daily schedule. Twice daily he would tour Dubai to see for himself how projects were progressing. Sheikh Rashid was never satisfied with a simple explanation; instead he wanted to have a detailed understanding of every project undertaken in Dubai. Furthermore, these inspections provided him with the opportunity to meet with the man on the street. Sheikh Rashid was famed and admired for his patience on these occasions; he thoughtfully considered each man's complaint or opinion, ensuring that proper assistance was given to each individual. The Majlis, a mix of nationals, also provided a vibrant forum for debate. Surrounded by men whose opinions he valued, projects were dissected, molded together, and often implemented by members of the Majlis. Determined in his unfaltering belief that a modernized Dubai could be achieved, Sheikh Rashid initiated numerous remarkable developments in his city-state. Projects viewed as impossible by many members of society (including foreign nationals), were seen as challenges by the Ruler. Examples of such projects include the Al Maktoum Hospital, the first modern hospital in what was then the Trucial States; the Al Maktoum Bridge, which spanned the Creek, joining Dubai with Deira and eliminating the long trip around the head of the Creek; and Dubai Airport, which bore immediate reward as demand for air travel grew much faster than anticipated. Both these projects, the airport and the bridge, showed clearly that Dubai infrastructure planning was hardly ever just a response to the immediate needs of the community: it was clearly linked to the ambitious ideas about the future development of Dubai. On October 7, 1990, Sheikh Rashid passed away. He left behind a legacy visible in the town planning of Dubai. News of his death travelled far and wide. Heads of States throughout the world sent their condolences. "Most extraordinarily, however, was the reaction across the Atlantic in New York, at the United Nations. The General Assembly was debating a motion on Palestine when invited to mark the passing of Dubai's leader. Both General Assembly and Security Council observed a minute's silence, after which representatives of Kuwait, Poland and the US paid tribute to Sheikh Rashid. Though scarcely a whisper marked his birth in 1912 in a place which few outsiders at the time had even heard of, Sheikh Rashid had labored to develop Dubai and later the United Arab Emirates into a lasting and sustainable entity. Seventy-eight years later, his death drew the world community to its feet in the UN General Assembly, a remarkable tribute to a remarkable man and his undoubtedly remarkable achievements. the first UAE President, His Highness Sheikh Zayed bin Sultan Al Nahyan. The achievements of the late His Highness Sheikh Maktoum bin Rashid Al Maktoum, UAE Vice President and Prime Minister and Ruler of Dubai, marked him as a leader who enjoyed a close bond with his people and shared their dreams. Sheikh Maktoum ruled Dubai between November 1990 and January 2006. Sheikh Maktoum was born in 1943, at the large Al Maktoum home in the Shindagha area of Dubai, which is close to the mouth of Dubai Creek. He was the first son of Sheikh Rashid bin Saeed Al Maktoum. His early education consisted of private tuition in mathematics, English, Arabic and Islamic studies, to prepare him for the important role that awaited him. On the 4th of October 1958 a ceremony to mark the formal accession of Sheikh Rashid bin Saeed Al Maktoum as Ruler of Dubai was held. Sheikh Maktoum addressed the people of Dubai on behalf of his father, a clear sign of Sheikh Rashid's faith in his eldest son. Throughout the late 1950s and early 1960s, Sheikh Rashid and Sheikh Maktoum worked around the clock to realize the dream of developing the emirate. Their projects included Dubai Airport and the construction of Dubai's first hotel, numerous schools and modern residential districts. During the early 1960s, Sheikh Maktoum completed his domestic schooling and his father sent him to pursue his education in Britain. There, he mixed with students from different nationalities, many of them were sibling of world?s leaders and politicians. His Highness Sheikh Zayed was elected President of the UAE, with Sheikh Rashid as Vice-President. Sheikh Maktoum was appointed the first Prime Minister of the UAE and given the task of forming the fledgling state's first cabinet. On April 2, 1972 Sheikh Maktoum chaired the first meeting of the UAE Cabinet. Sheikh Maktoum remained Prime Minister until 1979, when he stood down in favor of his father. Four years later, Sheikh Maktoum returned to the cabinet as Deputy Prime Minister. In May 1981, Sheikh Rashid fell ill and the onus fell firmly on his four sons (Sheikh Maktoum, Sheikh Mohammed, Sheikh Hamdan and Sheikh Ahmed). Although he recovered, he still needed much rest, leaving the practical management of day-to-day affairs to Sheikh Maktoum, who was ably supported by his brothers, Sheikh Mohammed bin Rashid, Sheikh Hamdan and Sheikh Ahmed. The three brothers formed an effective leadership team that has maintained and expanded their father's legacy. Sheikh Maktoum worked hard to develop Dubai, and paid particular attention to the promotion of law and order, and education. Throughout the 1980s, Sheikh Maktoum assumed greater responsibilities. He also gained a reputation as a philanthropist. His generosity was legendary in Dubai and the UAE. He funded a number of humanitarian projects such as a handicapped centre; orphanages? homes in developing countries; and the construction of schools inside and outside the UAE. Following the death of Sheikh Rashid in October 1990, Sheikh Maktoum became Ruler of Dubai and Vice President and Prime Minister of the UAE, positions he held until he passed away in January 2006 during a visit to Australia. and Fujairah. He and his brothers were also responsible for transforming Dubai into one of the most modern cities in the world. Between 1990 and 2006, Sheikh Maktoum's leadership led to nationwide development that has transformed lives. In Dubai, his leadership has resulted in major infrastructure projects, including internationally renowned sporting facilities, an impressive road network, modern parks and gardens, and public libraries. Dubai International Airport has also been expanded and improved to reflect the emirate's status as the regional aviation hub. Sheikh Maktoum must get much of the credit for introducing Arabs to international horse racing. He and his brothers ran the highly successful Godolphin stables and Sheikh Maktoum was the most successful horse owner in Europe in 1997. He played a major role in raising the standard of international racing.